Once the royal capital of Chalukyas, today, Badami is a quaint town nestled in the Bagalkot district of Karnataka. The town is full of cave temples, fortresses, carvings and entrances. 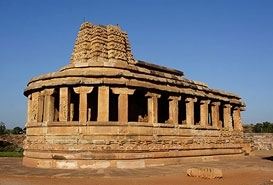 It is the site of the 6th and 7th century Brahmanical and Jain Cave Temples and that’s why it is often referred to as the “Cradle of South Indian Architecture’. These temples are carved out of solid rock and speak volumes about the art and architecture of that period. These 4 cave temples are linked to each other via stairs. The nearest airport to Badami is Belgaum. 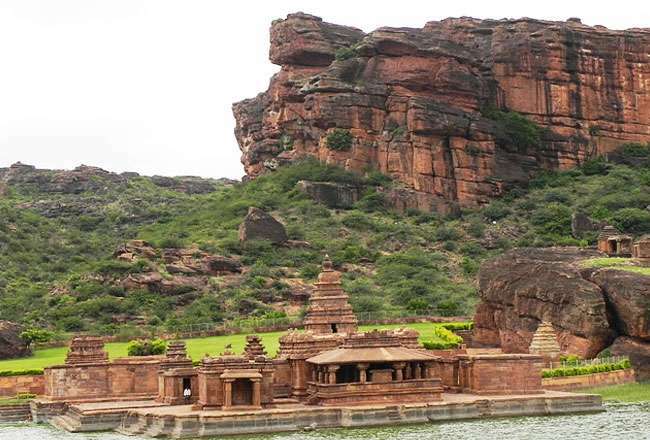 It is located at a distance of 190 kilometers away from Badami. Taxis ply between Belgaum and Badami. The National Highway 4 and Bangalore-Hyderabad Highway connect Bangalore and Badami. 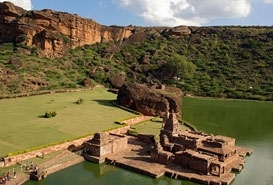 The journey from Bangalore to Badami via road will take around 7 hours. 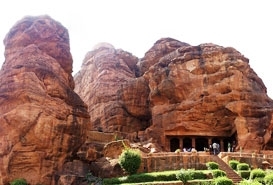 Badami is well-connected to Bangalore via tourist buses. The nearest major railhead is Hubli, which is around 100 kilometers away from Badami. Hubli is well-connected to Mumbai via Chalukya Express. Taxi cabs ply between Hubli and Badami. Belgaum is the nearest airport to Badami. 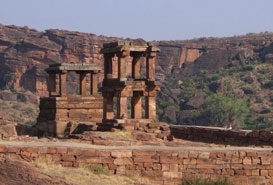 It is located around 190 kilometers away from Badami. Domestic flights are available from Belgaum to Mumbai. Taxis ply between Belgaum and Badami. The National Highway 4 connects Mumbai to Badami. The road journey will take around 9 hours. There is no direct bus connectivity between Badami and Mumbai. Tourists have to first drop at Hubli, thereafter, they can board buses from Hubli and Badami operated by KSRTC. Hubli is the major railhead to Badami. 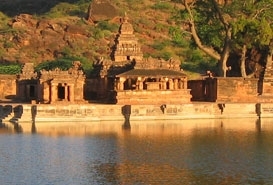 It is located at a distance of 100 kilometers away from Badami. Trains to Hubli depart from Pune Junction in Pune. There is no airport in Badami. Hubli Airport is the nearest airport to Badami (90 kilometers). Hubli is well-connected to Pune via domestic flights. The Mumbai Highway and Pune-Solapur Highway connect Badami to Pune. The road journey from Badami to Pune will take around 8 hours. There is no direct bus service between Badami and Pune. KSRTC buses ply between Hubli and Badami.